The first round of renewed US sanctions will take effect on Tuesday after midnight US Eastern time with the harshest sanctions expected to return in early November. Washington is reinstating penalties that were lifted against Iran after unilaterally withdrawing from the historic nuclear deal reached with Tehran after many years of negotiations. The 2015 Joint Comprehensive Plan of Action (JCPOA) on curtailing Tehran’s nuclear program was signed by Iran, the United States, Russia, China and the European Union. The move by Washington to withdraw from the nuclear agreement has been widely condemned by the EU and other signatories of the deal. The European Commission has stated that despite US sanctions, European companies will continue doing legal business in Iran under the protection from Brussels. 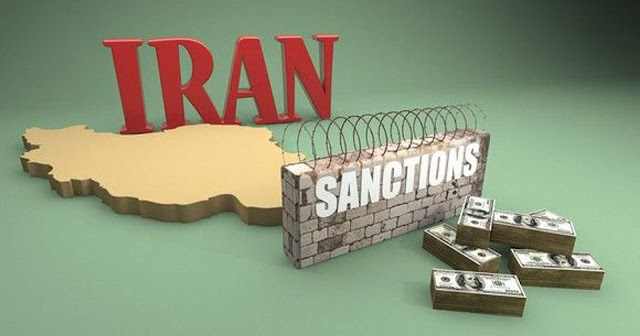 “The lifting of nuclear-related sanctions is an essential part of the deal – it aims at having a positive impact not only on trade and economic relations with Iran, but most importantly on the lives of the Iranian people. We are determined to protect European economic operators engaged in legitimate business with Iran, in accordance with EU law and with UN Security Council resolution 2231,” the European Commission stated on Monday. "This is why the European Union’s updated Blocking Statute enters into force on 7 August to protect EU companies doing legitimate business with Iran from the impact of US extra-territorial sanctions," it added. Brussels announced back in May that it would enable the Blocking Statute starting from August. The law was first adopted in 1996 and forbids EU companies from complying with the extraterritorial effects of US sanctions. It allows companies to recover damages arising from such sanctions, and nullifies the effect in the EU of any foreign court judgements based on them. The Europeans are “committed to work on … the preservation and maintenance of effective financial channels with Iran, and the continuation of Iran's export of oil and gas,” the EC added. However, the Blocking Statute has never been used in practice and could be difficult to enforce. The law first needs to be updated to include US nuclear-related sanctions against Iran. It then requires the agreement of all 28 EU member states to implement, which could be a lengthy process. The biggest problem is that European companies are likely to bow to US pressure and leave Iran despite assurances from Brussels. These firms are dependent on the US-dominated international banking system and international financial markets. Already a number of major European firms have reportedly stopped doing business in Iran to avoid becoming targets of US sanctions and fear of losing the American market. Like this news from RT? Share it with a friend!